It's the little things that have catapulted Oprah Winfrey to stardom over the years. 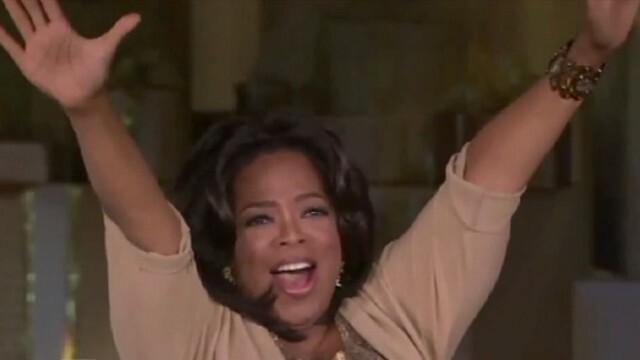 With every tear, every interview, every giveaway, Winfrey influences millions. Winfrey has had 283 favorite things – items that she has selected and highlighted on her show. From Spanx to panini presses to popcorn, being included on Winfrey's list has given that extra push to products, making them overnight best-sellers. For example, when she mentioned the Kyocera ceramic knife – which she got as a gift – on her show, national cookware chain Sur La Table sold 740 percent more of the set containing that knife than it had the year before. It's a phenomenon "Good Morning America" calls the Oprah Effect, and it's no big surprise. After all, Winfrey has had more than 40 million viewers each week and her show is broadcast in 150 countries around the world. Patricia Helding is the founder of Fat Witch Brownies. Helding's brownies were featured on Oprah's Favorite Things in 2002. "We were lucky to be on Oprah's Favorite Things, and overnight things changed," Helding told "Good Morning America." "The phone did not stop ringing. You could not keep up with it. It took us six months to get through all the orders." Because of the boost she got from being mentioned on Winfrey's show, Helding went from a struggling business owner to a flourishing baker within mere months of the episode's airing. She's still on top today. Carol's Daughter is a New York City beauty store that blossomed after being featured on Winfrey's show several years ago. "We made the appearance on Oprah and then our website crashed," Lisa Price, the founder and president of Carol's Daughter, said. "We went from four visitors to 17,000 within 10 seconds and unfortunately it crashed but we were able to capture a lot of e-mail addresses. We got a ton of orders." In fact, the company went from being worth $2 million back then to being worth $30 million today. Price said being featured by Winfrey was like getting the talk show queen's "seal of approval." Price and Helding agree that they couldn't have gotten better advertising. "I am so grateful to Oprah showing me what success looks like, what strength looks like and giving me someone to look up to and admire and to have been in her presence," Price said. Helding also was deeply grateful. "I can't thank her enough, I don't have words," she said of Winfrey.